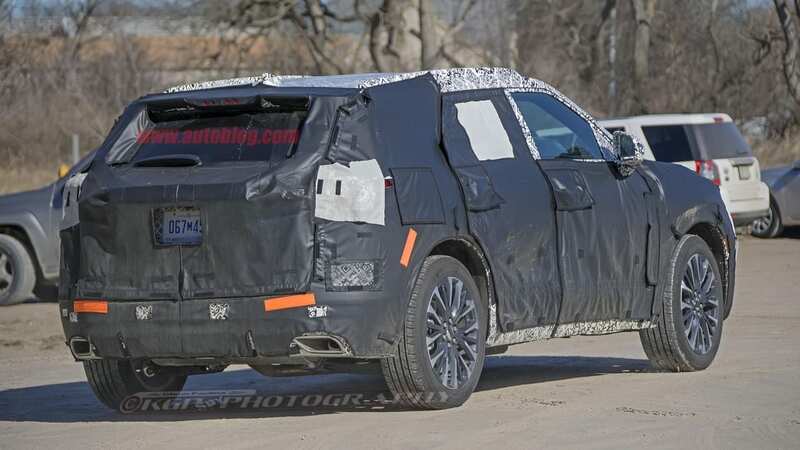 Although Chevrolet hasn't said anything official about building a crossover that'll slot between the Equinox and Traverse, it hasn't denied the idea either. 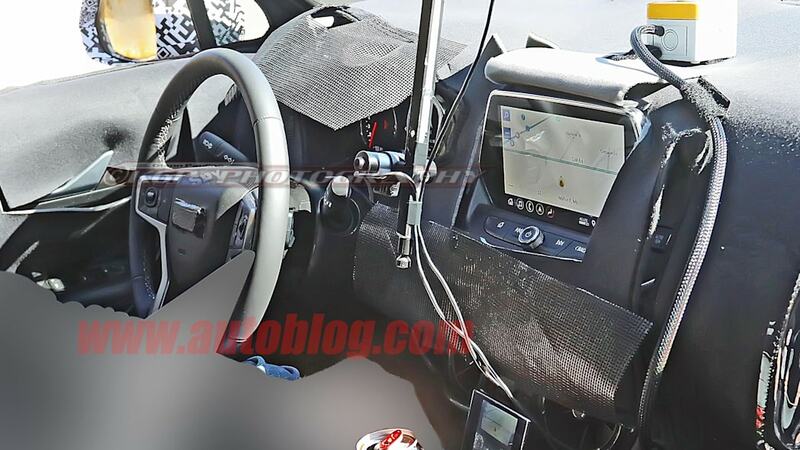 Now, thanks to one of our spy photographers, we have visual confirmation such a vehicle is in development. 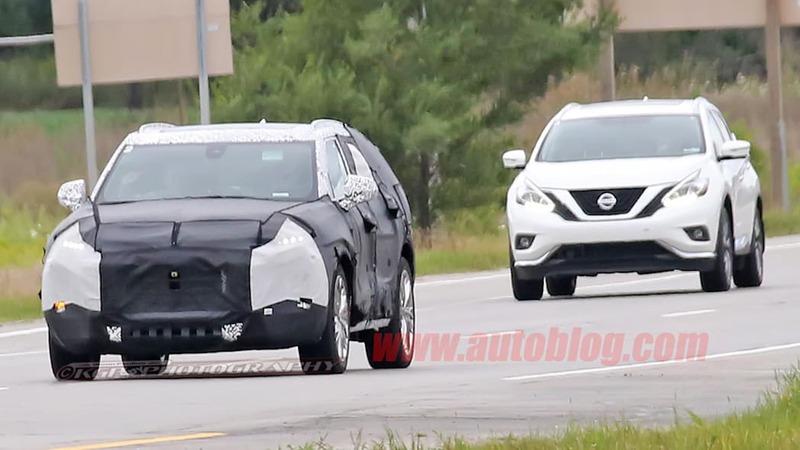 And with it testing alongside two-row midsize crossover competition in the form of the Nissan Murano, we're pretty confident about its size and intended market segment. 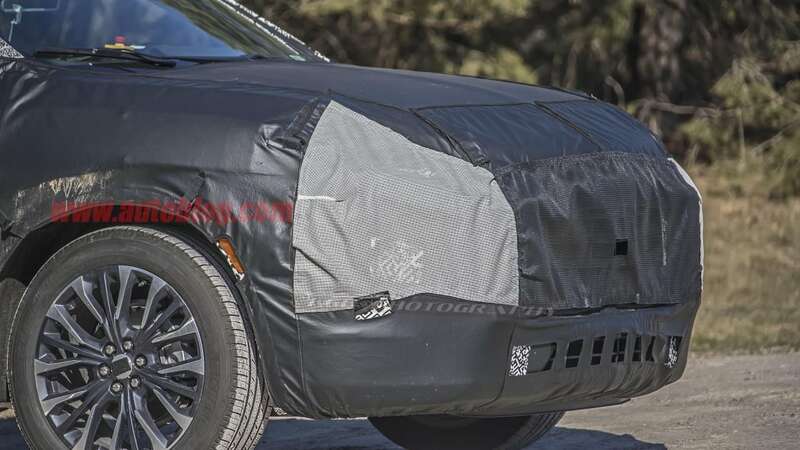 We're less sure about whether it'll really be called Chevy Blazer, as has been rumored. 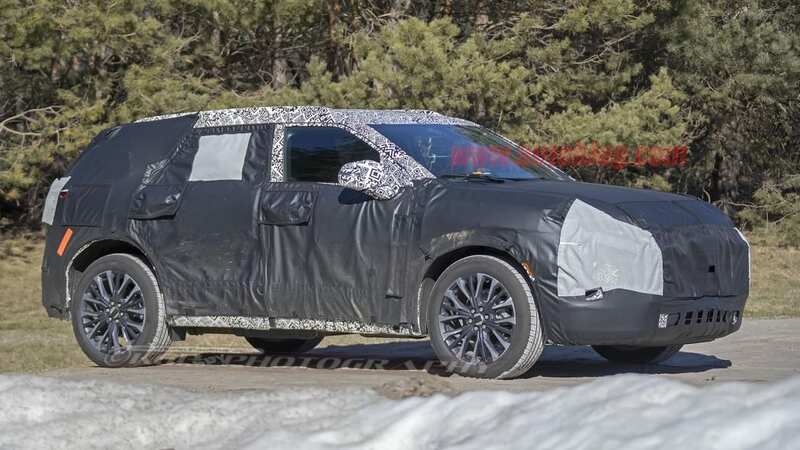 We can tell that this crossover is getting an extra dose of style compared with Chevy's other, more conventional and practical models. 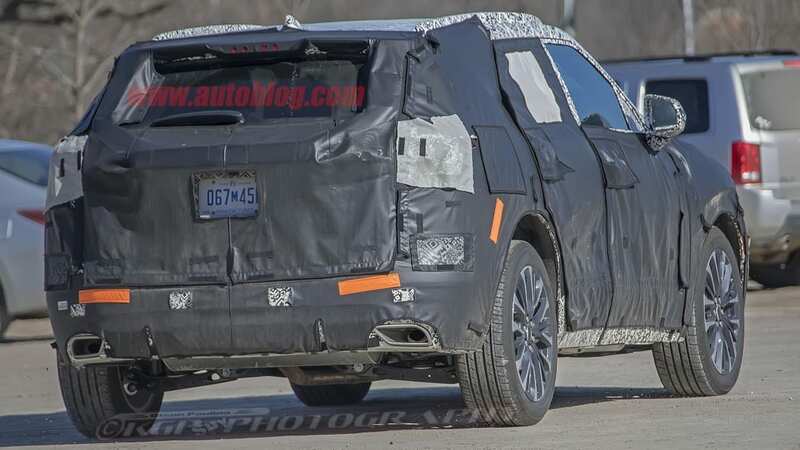 The roof looks quite low, and the beltline pretty high, giving it a more aggressive, sporty stance. This look is supported by a long, rakish nose. 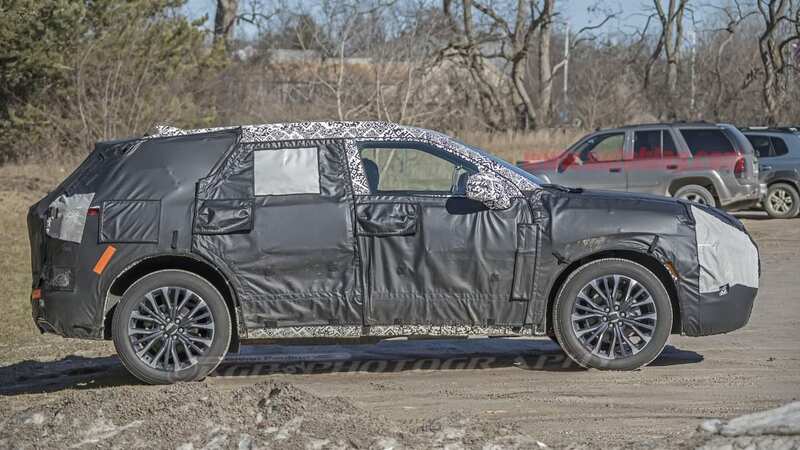 Despite the lengthy prow, it's clear that this crossover will have a transverse-mounted engine and a choice of front- or all-wheel-drive. 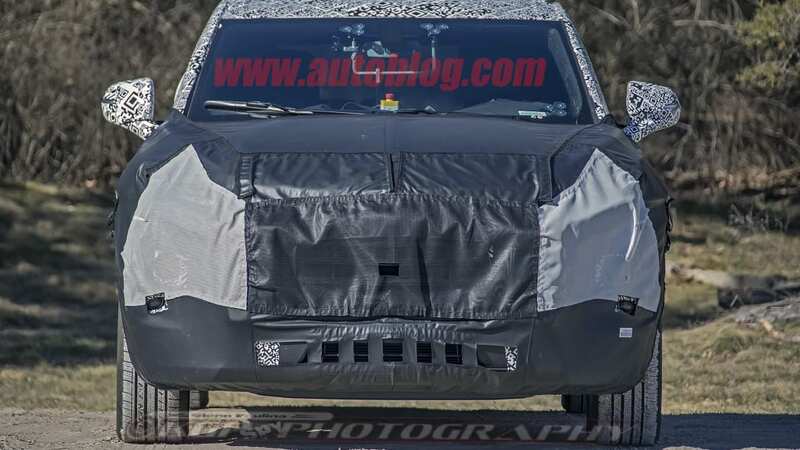 This is evident by how close the front wheels are to the base of the A pillar, and the long front overhang. 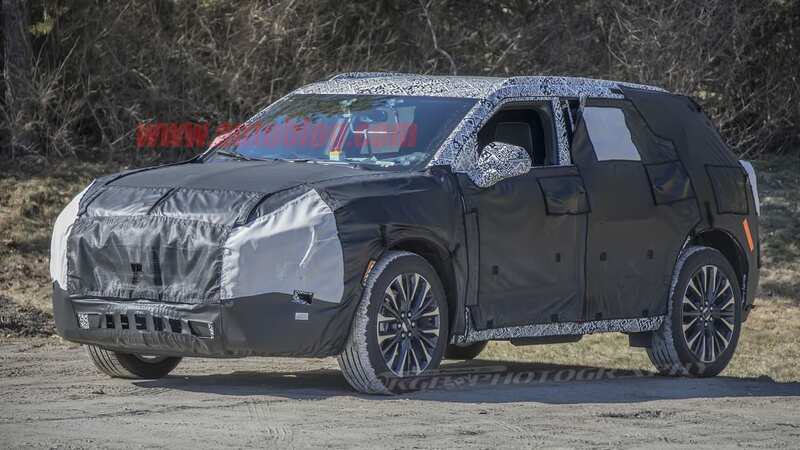 We predict that it may use a version of the shortened C1XX platform used by the GMC Acadia. 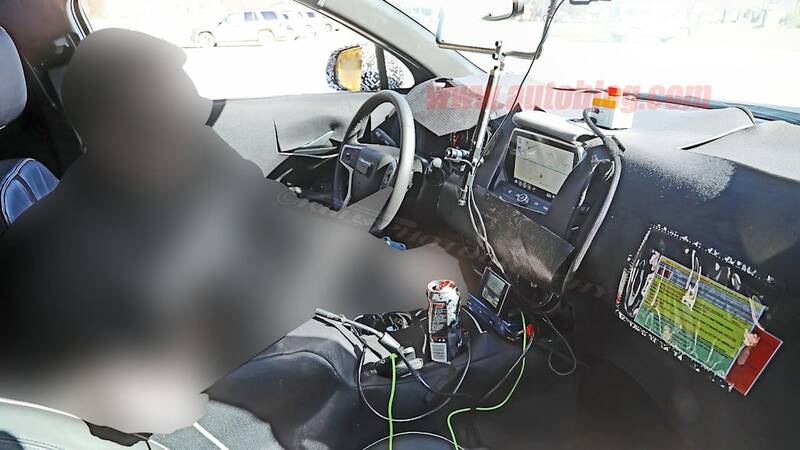 Inside, this Chevy crossover has a number of interesting details. 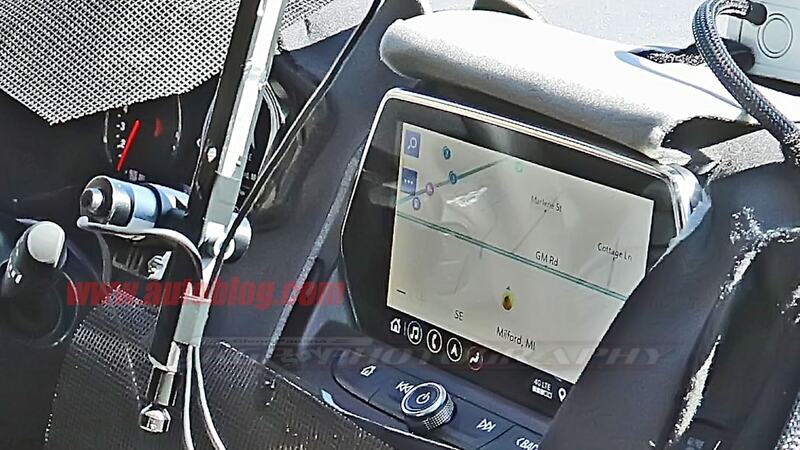 Its MyLink touchscreen gets an extra touch of style not found in other Chevys thanks to a hexagonal frame that would seem to replace the current look of a plain rectangular tablet sprouting forth from the dash. 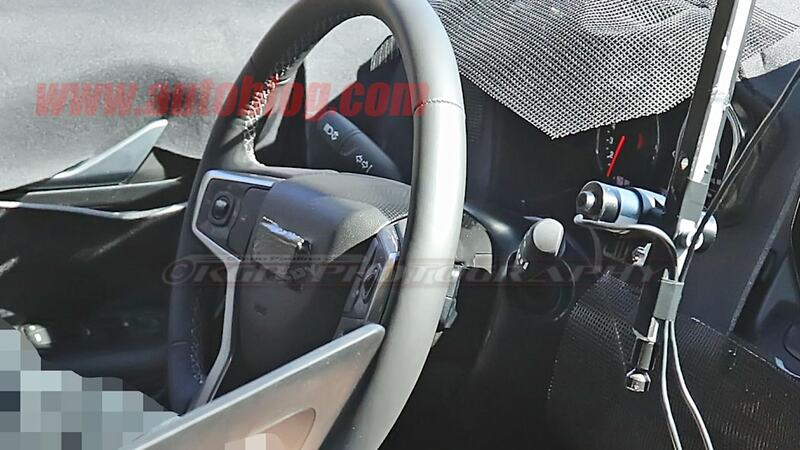 We can also spot the cool circular air vents from the Camaro down at the base of the center stack. 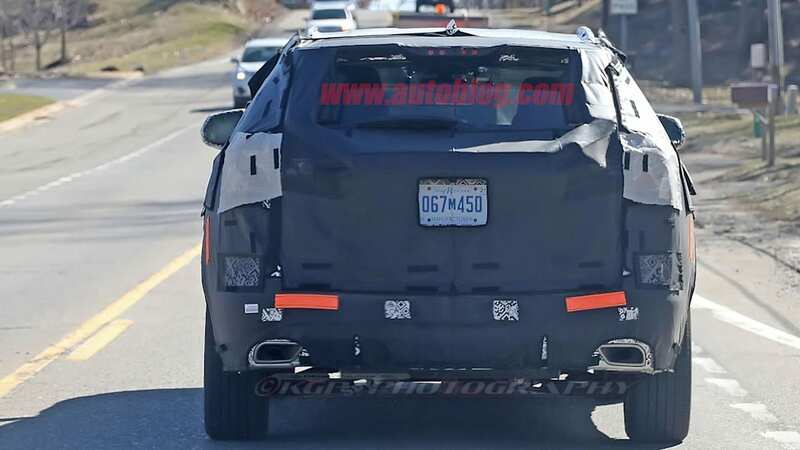 Presumably they will have temperature control rings surrounding them as in the Camaro. We do wonder how well those low vents will work in a tall cabin. 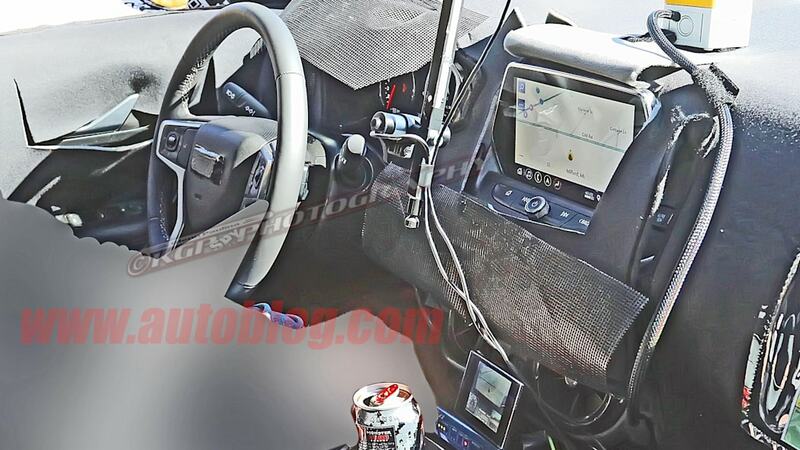 The steering wheel also looks shared with the new Silverado. Now, as for that name. 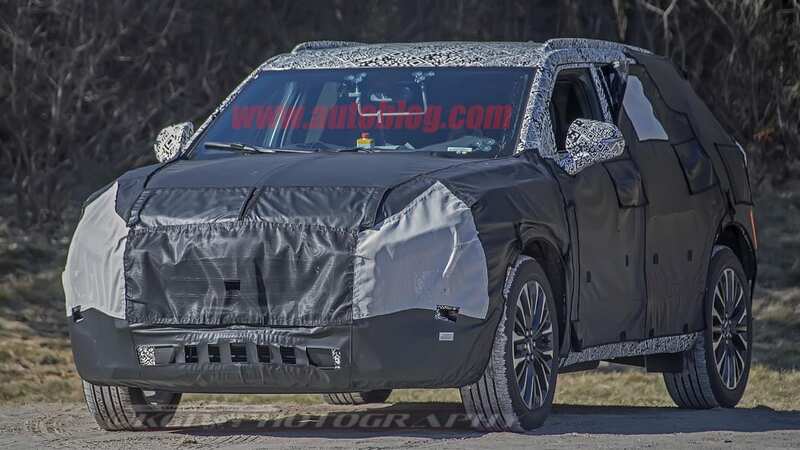 The prevailing rumor is that Chevrolet will revive the Blazer name for it, or perhaps TrailBlazer. 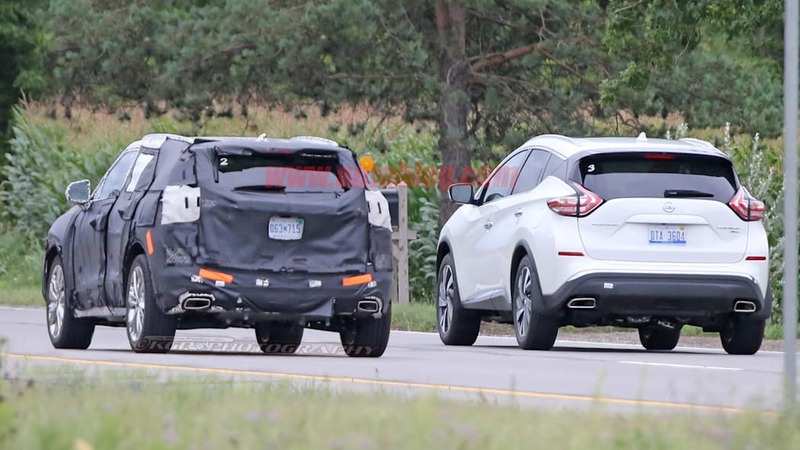 Both names have some solid brand recognition, and Ford pulled a similar move with the Taurus and Explorer. 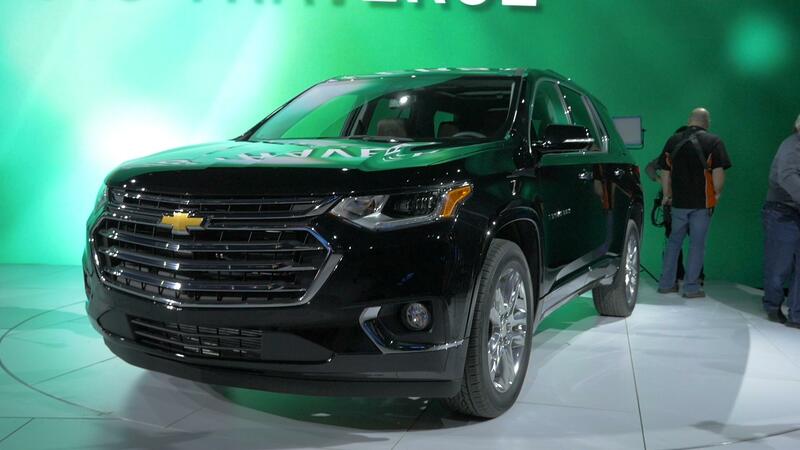 On the other hand, there's already a foreign-market, Colorado-based TrailBlazer, so perhaps Chevy wouldn't want to give two totally different vehicles the same or at least similar names (even if they aren't sold in the same market). As for when we'll see this new crossover, we would expect next year at some point.